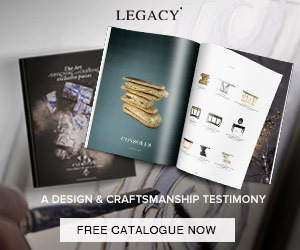 Inside a luxury living room, coffee tables, as furniture pieces, represent characters of a design inspiration story that is told by its modern interior design. 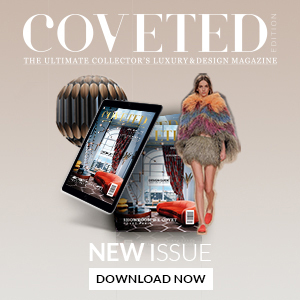 This week, we present you some coffee tables design inspirations by luxury brands to improve some home décor ideas and to build a luxury living room décor. Each of these coffee tables with a contemporary design is a living room furniture piece that shows the example of an excellent craftsmanship and outstanding attention to every detail. Take a look and get inspired to convert your luxury living room with any of these stunning luxury furniture pieces. Constellation is the elegant circular coffee table by Fendi that set with minimal lines and a retrò look. The marriage of volumes and proportions come together defining an idea with sculptural contours. The extra-light, smoky or bronze mirrored top, matching the structure also can be made in the shades of Prussian Blue, garnet red or black. Pelleas luxury Italian coffee table by Nella Vetrina is presented with a beveled glass top and a stainless steel base. 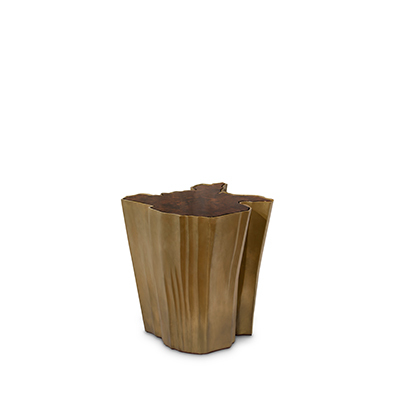 Made of polished bronze, Biarritz is a stunning coffee table by Hudson Furniture that has the power to transform any living room into a luxury space in a modern home. 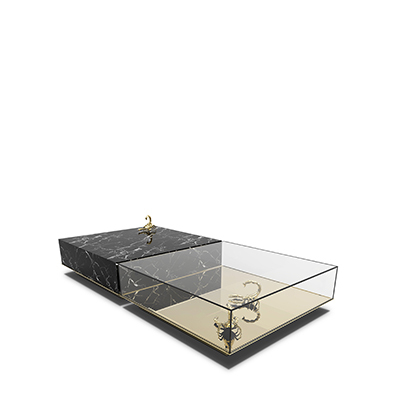 Soho black coffee table by Boca do Lobo provides an exclusive ambiance to your contemporary and luxury living room. It is composed of 9 drawers and works in a modular system that offers you the possibility to change the drawers’ position in order that you can create your favorite composition whenever you feel like. 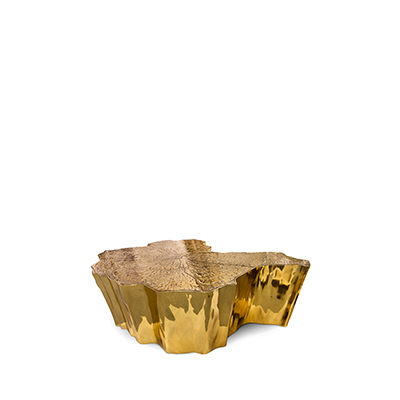 This coffee table by Boca do Lobo is one of the most beautiful pieces of this luxury brand that offers you a variety of choices for your home decor ideas. This hand-crafted oval design offers unmistakable Italian style indeed. Superbly executed by master Italian craftsmen, the Luxury Contemporary Italian Oval Marble Coffee Table by Juliettes Interiors is outstanding in its use of luxury materials and attention to detail. Originally a dramatic and sculptural take on a British design classic, Fan coffee table by Tom Dixon is a modern and contemporary living room furniture piece. Voilà, an original coffee table by Bonaldo, emphasizes instead the interest in its geometrical structure. It is in mat painted metal, available in white, anthracite grey and dove grey. 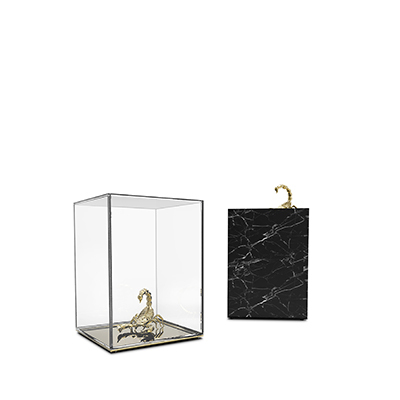 By Versace Home Collection, this is bit different, a bit dynamic, and a bit Versace coffee table, with modern lines and a superior construction. 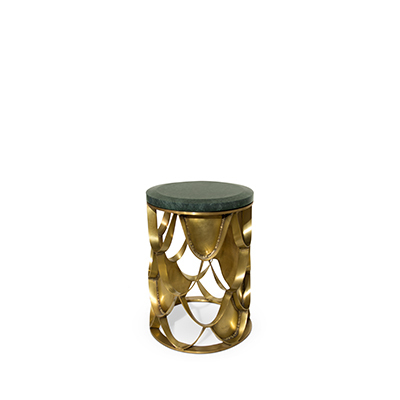 With a structure in brass and swiveling tops in wood or brass, Galax Coffe Table by Henge provides a special and contemporary ambiance in your luxury living room. By Apparatus Studio, the triangular forms rest on supporting columns of the Portal Coffee Table. The modular pair of this modern furniture piece can be arranged in multiple formations.